But i keep getting a return error that setup.exe can't be found and to please check that the address is correct. I only ever get this error with Adobe S/W installs. It has to be ran via an .sfx as the installer that the S/W is packaged in can't run the .exe alone. Hope i'm clear enough in my explanation. I am completely ignorant to creating installers and such, but it is possible to use your installer in conjunction with a .BAT file? If that is way out in left field just ignore me. a help request does not constitute a tech discussion. (09-15-2013, 05:53 PM)Wildcard Wrote: I am completely ignorant to creating installers and such, but it is possible to use your installer in conjunction with a .BAT file? (09-15-2013, 06:43 PM)sporkium Wrote: a help request does not constitute a tech discussion. Thanks to both of you guys and my apologies if i've posted in the wrong section. 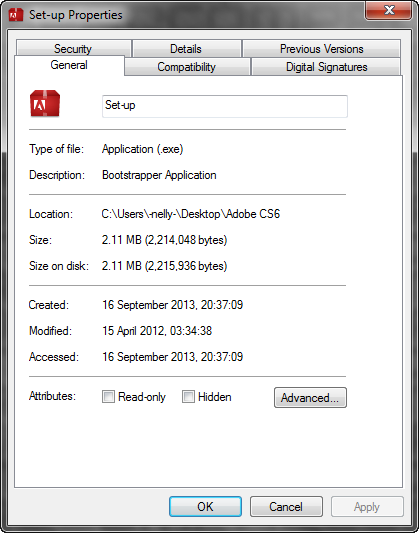 From what i could research, bootstrapper applications call on other files as part of the setup process. Adobe, so far, is the only software i've ran into this issue with as most installers i build are fairly straight forward. Current time: 04-20-2019, 07:49 AM Powered By MyBB, © 2002-2019 MyBB Group.